The new year is upon us and that means new genre releases for 2016 are on the horizon! Our friends at Mill Creek Entertainment sent us word on some cool titles they have coming out in the cult/genre/nostalgia vein this month! From horror to cheesy B-action to 90’s sitcom, check these January releases out! Demons at the Door director Roy Knyrim draws inspiration from one of the most high-profile UFO sightings ever recorded for this fact-based sci-fi thriller that recreates the infamous “Phoenix Lights” case. On March 13, 1997, community leaders, law enforcement officials, and countless everyday citizens in the southwestern United States witness a phenomenon that simply couldn’t be dismissed by even the most hardened of skeptics. Jason Connery, Ashley Peldon, A.J. Cook, and Gwendoline Yeo star in a film that draws on transcripts taken during hypnotherapy sessions to explore precisely what happened to six strangers stranded on a forgotten road during that fateful close encounter. For the NASA-funded research team stationed at the most desolate reaches of Antarctica, it’s another routine day – until the communications satellite picks up a mysterious signal coming from a strange object lodged several meters beneath the ice. Suspecting it may not be from earth, the lead scientist immediately places a call to Julian Rome (James Spader), an old friend formerly employed as a cryptologist for the U.S. Government’s SETI (Search for Extraterrestrial Intelligence) program. Catching the next flight to the South Pole, this former “Alien Hunter” is soon led to the unidentified object which is still encased in a large block of ice. After constructing a makeshift decoder, Rome quickly cracks the complex mathematical code, only to discover the message is an alien warning. Now it’s a terrifying race against time to prevent the total annihilation of the planet in this pulse-pounding sci-fi thriller. 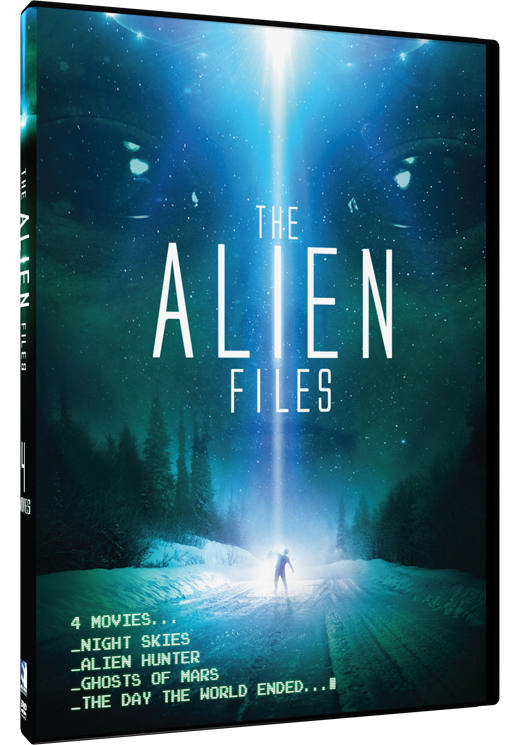 From John Carpenter, the master of horror behind 1998’s hit John Carpenter’s Vampires and classics like The Thing and Halloween, comes a sci-fi thriller full of explosive action and bone-chilling suspense. Natasha Henstridge (Species) is Melanie Ballard, a headstrong police lieutenant on Mars in the year 2025. Humans have been colonizing and mining on the red planet for some time, but when Ballard and her squad are sent to a remote region to apprehend the dangerous criminal James “Desolation” Williams, played by Ice Cube (Friday), they discover that he’s the least of their worries. The mining operations have unleashed a deadly army of Martian spirits who take over the bodies of humans and won’t stop until they destroy all invaders of their planet. The Day The World Ended is a creepy, suspenseful sci-fi thriller starring Randy Quaid (Independence Day, National Lampoon’s Vacation series) and the beautiful Nastassja Kinski (Town and Country, Terminal Velocity). It also features terrifying effects by legendary Academy Award®-winning monster-maker Stand Winston (A.I. Artificial Intelligence, Jurassic Park, Aliens). A woman trying to help a disturbed child discovers his nightmarish fears are all too real in this sci-fi horror opus. Dr. Jennifer Stillman (Nastassja Kinski) is a child psychologist from New York City who takes a job working at an elementary school in a small Nevada community. Jennifer is seen as an unwelcome outsider by most of her neighbors and colleagues, but she does strike up a rapport with Ben (Bobby Edner), a troubled young student. Ben is haunted by fears he has a hard time talking about, and she learns that his mother died under unexplained circumstances — a matter his father (Randy Quaid) is equally reticent to discuss. As Jennifer struggles to get to the bottom of Ben’s traumas, she learns that a monster from another world and a terrible secret the town has been trying to hide are both parts of the puzzle. The Day the World Ended was loosely adapted from Roger Corman’s 1956 film of the same name, which was the first monster movie the B-movie icon made for American-International Pictures; this version was created as part of the made-for-cable “Creature Features” series. When Lawson (Seagal) loses his team in a cold-blooded attack, he takes it upon himself to investigate the suspicious circumstances of the brutal killings. 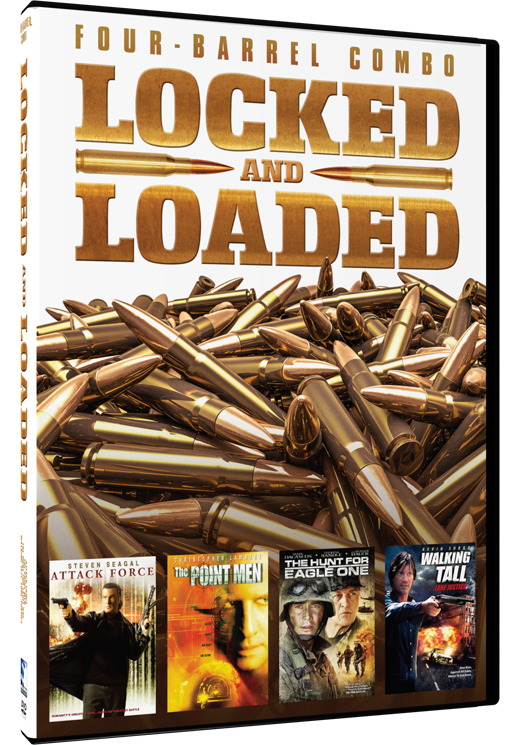 Tony Eckhardt (Lambert) is as an Israeli secret service agent assigned to track and assassinate Amar, a terrorist who is threatening the future of the Middle East peace process. After a raid to capture terrorists holed up with Philippine rebels, Lt. Daniels (Dascascos) must rescue the crew of a downed helicopter before the bioweapons detenate. After cleaning up his hometown, Nick (Sorbo) retires as sheriff and hopes to start a new life, when he is pitted against a ruthless drug lord and his army. When David (Luke Wilson) and Amy Fox’s (Kate Beckinsale) car breaks down in the middle of nowhere, they are forced to spend the night at the only motel around, with only the TV to entertain them – until they discover that the low-budget slasher videos they find in their room were all filmed in the very room in which they’re sitting. With hidden cameras now aimed at them – trapping them in rooms, crawlspaces, underground tunnels – and filming their every move, David and Amy must struggle to get out alive before they end up the next victims on tape. If You’re Going To Bury The Truth, Make Sure It Stays Buried. Jennifer Love Hewitt and Sarah Michelle Gellar star with Ryan Phillippe, Freddie Prinze, Jr. and Johnny Galecki in this terrifying tale of a body that just won’t stay dead. After an accident on a winding road, four teens make the fatal mistake of dumping their victim’s body into the sea. Exactly one year later, the dead man returns from his watery grave and he wants more than an apology. To Jill Johnson, it was the perfect babysitting job. The parents were away. The fridge was stocked. The children were tucked into bed. But then the phone rings and an ominous voice asks, “Have you checked the children?” Locked in with the lights out and the curtains drawn, a panicky Jill phones the police, who trace the calls – only to inform her they’re coming from inside the house. Deep in the Romanian forest, a team of scientists stumbles upon the ruins of a 13th-century abbey. On further inspection, they make a startling discovery – the abbey is built over the entrance to a giant underground cave system. Local biologists believe the cave could be home to an undiscovered ecosystem, so they hire a group of American cave explorers to help them investigate its depths. 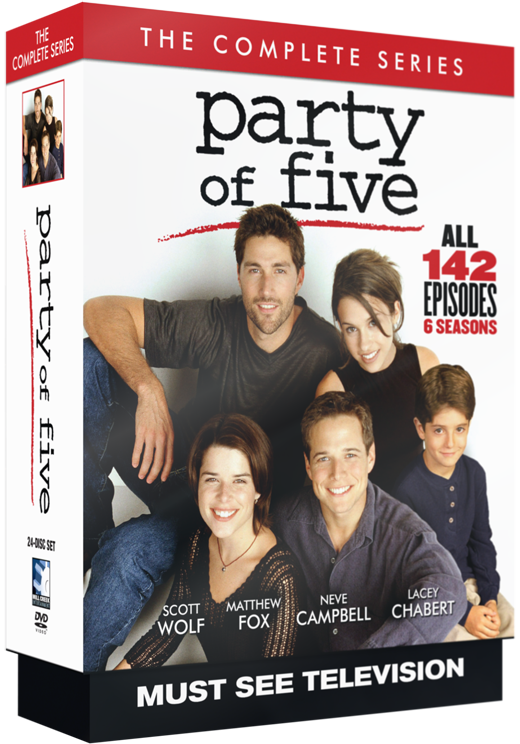 Join the party with one of TV’s best-loved series! Starring: Scott Wolf, Mathew Fox, Neve Campbell, Lacey Chabert, Paula Devicq, Jennifer Love Hewitt, and many more! Won the Golden Globe® for Best Drama TV Series in 1996. Bonus “Family Album” episode with a look-back at the first 4 seasons with the cast and crew.